I was pleasantly surprised by how much I enjoyed this debut novel. The story was very engaging and well-written. I cried several times as I followed Susan through her last year of high school as she struggled with bullies and mean girls. She also had heartbreaking family issues. Her strength through it all was endearing. I wasn’t sure what to think of Calder at first. He wasn’t a bad guy, but didn’t seem to deserve her love, or even friendship. But, I really liked how things turned out. This is a clean, fast read with some surprises and a happy ending. 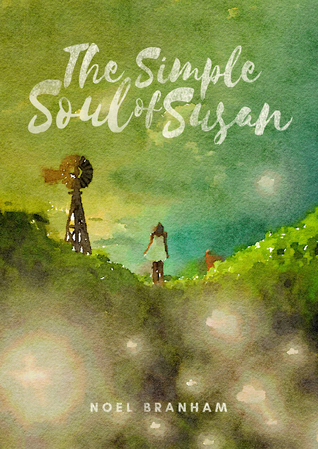 I recommend The Simple Soul of Susan, and would read more from this author. Bring tissues with you when you read this book, you'll need them. I loved reading about her friendship with Calder, even knowing how torturous it was for her to have feelings for him that weren't reciprocated. I was glad that we got to know Calder's family so well too. Their relationship with their son, as well as with Susan, spoke volumes about them. Like I said, this book requires tissues nearby, and it is completely heartbreaking at times, but it is such a good story, one that I can see myself reading again. It took me a little bit to get into this book. Actually, the only thing that kept me reading past the first chapter was the recommendation from both my sisters. I'm glad I kept reading. Once it got to the actual story and dialog I did not want to put this book down. That being said, there seemed to be A LOT of description, and seemingly about things that I didn't feel were pertinent to the story. I loved the growth that happened for Susan and Calder. Each one had moments that they figured life out and it made them each better. I love when an author will write growing moments for their characters. I loved how the book ended, but I'm a sucker for knowing more about each character. I want to know what happens to the minor characters in the book as well. Especially since they were so vital to a lot of the growth that happened. Especially to Susan. Source: We received an eCopy from the author in exchange for an honest review.